Astronomers may have found the densest galaxy in the nearby universe. 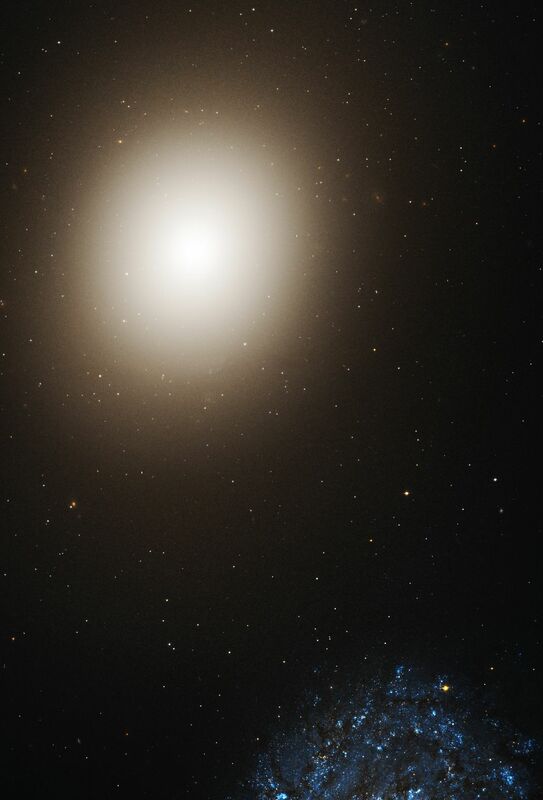 The galaxy, known as M60-UCD1, is located near a massive elliptical galaxy NGC 4649, also called M60, about 54 million light-years from Earth. This composite image shows M60 and the region around it, where data from NASA's Chandra X-ray Observatory are pink and data from NASA's Hubble Space Telescope are red, green, and blue. The Chandra image shows hot gas and double stars containing black holes and neutron stars, and the Hubble image reveals stars in M60 and neighboring galaxies including M60-UCD1. The arrow points to M60-UCD1. Packed with an extraordinary number of stars, M60-UCD1 is an "ultra-compact dwarf galaxy." It is one of the most massive galaxies of its kind, weighing 200 million times more than our Sun, based on observations with the Keck 10-meter telescope in Hawaii. Remarkably, about half of this mass is found within a radius of only about 80 light-years. 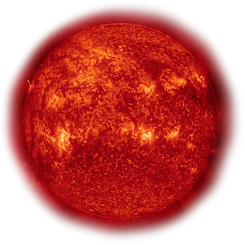 This would make the density of stars about 15,000 times greater than found in Earth's neighborhood in the Milky Way, meaning that the stars are about 25 times closer.